Live Streaming Chimpanzee Birth on Cam! 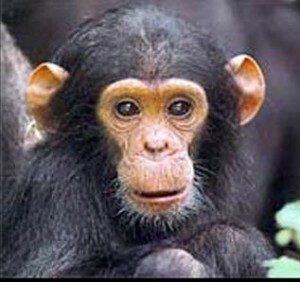 The Jane Goodall Institute in South Africa are delighted to announce that Nina the Chimpanzee is going to have a baby!! The even better news is that they are going to stream the birth LIVE on CAM!! In a world first, the Jane Goodall Institute are going to Stream the whole thing LIVE on CAM! Watch the expectant chimpanzee mother – Nina – in her “night quarters” during the build up to the big day and the birth of her first baby Live on Webcam with this great Live Streaming Chimpanzee Birth Cam. Check out how the mother Chimpanzee is coping with the pregnancy and enjoy watching her bringing the new baby chimp into the world LIVE on WEBCAM with the Live Streaming Chimpanzee Birth Webcam. This Live Streaming Chimpanzee Birth Webcam has a great amount of interest as the Jane Goodall Institute are confident that this will be the first time the birth of a Chimpanzee has ever been Streamed Live on the internet. With full 24 hour surveillance 7 days a week this Live Streaming Chimpanzee Birthing Webcam will allow animal experts and animal lovers from all over the world can enjoy watching Nina the Chimp giving birth on the internet. The best place to find this Live Streaming Chimpanzee Birth Webcam Live online is on MyLiveStreams.com! With thousands of Live Streaming Webcams form all over the world MyLiveStreams is one of the leading Streaming Webcam Portals on the internet. With Live Streaming Webcams form all over the world and Streaming Webcam Themes ranging from Live Streaming Animal Webcams to Weather Live Streaming Webcams, MyLiveStreams.com is one of the best Streaming Webcam Portals to find any Live Streaming webcam from anywhere in the world! Check out the Live Streaming Chimpanzee Birth Cam from The Jane Goodall Institute in South Africa With MyLiveStreams.com!